Sometimes it’s more convenient—or simply necessary—to store certain items or loads outside instead of inside the four walls of a facility. 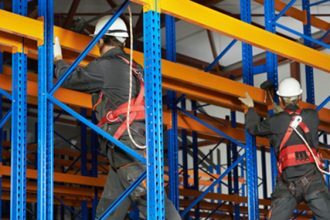 And—when properly designed, engineered, installed and maintained—outdoor industrial steel storage racks offer the same degree of safety and functionality of their indoor counterparts. Galvanized versus painted finish. Check with your rack manufacturer to understand if their paint finish is designed for outdoor or humid applications. If not, a galvanized finish may be the best option to ensure that that rack will not rust or corrode over time. Asphalt versus concrete slabs. Virtually all rack systems are designed under the assumption that the rack is anchored into a concrete slab with a rated design capacity. Placement of rack on asphalt or other surfaces is not recommended unless special accommodations are made. Consult your design engineer if there are any questions. Design for water drainage. Depending on the configuration of the rack system, water can potentially pool, increasing the risk of corrosion and damage to the rack. Confirm that your rack’s configuration does not encourage pooling water. Regular Inspections. 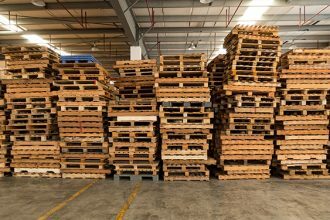 All racks, regardless of their location, should be routinely reviewed and evaluated for damage—including that caused by impacts with products or material handling equipment or by exposure to the elements. Use Common Sense. Storage racks are made of steel and they can be 30-feet tall—or higher—meaning that there is potential for them to conduct electricity if struck by lightning or topple over in an unusually high wind event. If they’re outside, it’s best for personnel to stay away from them during thunderstorms or other extreme weather occurrence. Looking for additional information on the safe use of structural steel storage rack? 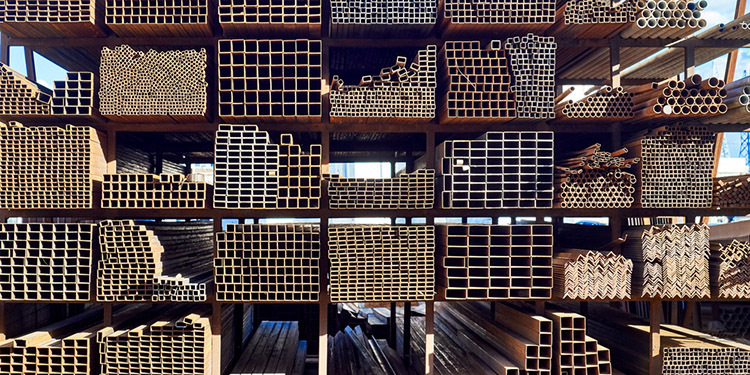 RMI offers guidance in its publication Considerations for the Planning and Use of Industrial Steel Storage Racks.